Korea Line Corp (KLC), South Korea's largest steel-making raw materials carrier, is expanding its fleet of capesize bulkers at a rapid pace, according to the Kaiji Press. According to overseas media reports, KLC is currently operating 35 capesizes, but plans to double the fleet scale to about 70 ships within five years. The fleet expansion will be attained through newbuilding orders on its own and newbuilding charters from other owners. Recently, KLC placed an additional order for two 180,000-dwt bulkers with Daewoo Shipbuilding & Marine Engineering (DSME) for completion in the third quarter of 2009. It has reportedly increased its capesize order backlog with DSME to four. 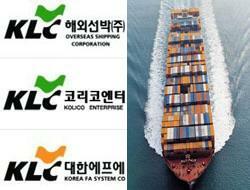 Most recently, KLC ordered one ore carrier through intermediation of Itochu Corp. Though KLC does not identify the shipbuilder, it disclosed the ship is a 250,000-dwt one, the optimal type for hauling iron ore from West Australia, hence the vessel is believed to be WOZMAX, a 250,000-dwt ore carrier developed by Namura Shipbuilding. If this were true, it would mark the first ore carrier ever ordered by a South Korean owner/operator. Besides, KLC has reportedly ordered four 174,000-dwt bulkers from Daehan Shipbuilding for completion in 2009-2911, five 200,000-dwt ships from Universal Shipbuilding Corp. (USC), two 180,000-dwt ships from STX Shipbuilding and two 177,000-dwt vessels from Namura, with its bulkers currently on order likely totaling 18 units. While these vessels will all be owned by KLC, KLC is reported to have chartered about 20 bulkers from domestic and overseas owners under medium- and long-term contracts.